Dental braces have come a long way – today's dental braces look, feel and function better than ever. Along with traditional metal braces, there are now a variety of dental braces to fit every need and budget. Clear dental braces use an innovative sliding technology instead of wires and have small, clear brackets that are virtually invisible. 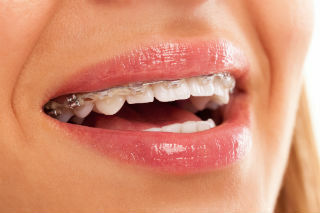 Lingual dental braces are metal braces placed on the back of teeth, completely hidden from view. Invisible dental braces don't use brackets at all; they include a customized set of clear plastic aligners that can be removed while eating, drinking, brushing and flossing. If a beautiful, straight smile is what you're after, you can't go wrong with dental braces – no matter what your age!